On June 21, when the world celebrates the International Yoga Day for a second year in running, yoga enthusiasts around the world must remember Paramhansa Yogananda, who did more than anyone else to take the ancient science beyond India’s shores. 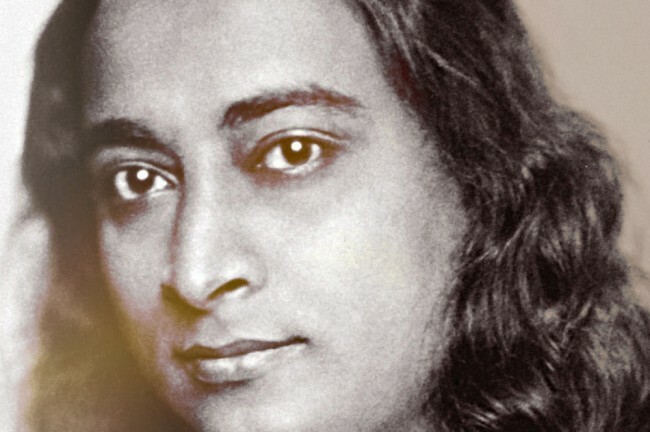 If the UN decided to honor June 21 every year as the yoga day, the primary credit for this must go to Yogananda, who went to the US in 1920 and taught yoga and meditation for over three decades to many thousands of Americans at a time when yoga was a strange word. Yogananda returned to India on a short visit just once – when he taught Kriya Yoga to Mahatma Gandhi at Wardha. He went back to the US at the urging of his guru, passing away there in 1952 under unique circumstances. It was in 1946 that Yogananda published his path-breaking “Autobiography of a Yogi”. In no time, it was recognized as one of the 10 best spiritual classics of the 20th century. No other book perhaps has done more to propagate yoga and spirituality. It has been translated into 21 languages and sold millions of copies. This year marks the 70th anniversary of “Autobiography of a Yogi” – which continues to be a best seller in the spiritual category and has pushed millions on the spiritual path around the world. Yogananda was born into a spiritually inclined family on January 5, 1893 in Gorakhpur (Uttar Pradesh) as Mukunda Lal Ghosh. He was the fourth of eight children and showed an early inclination for the self-realization path. His guru, Yukteswar Giri, goaded him to graduate and later ordained him as Yogananda. “Some day you will go the West. Its people will lend ears more receptive to India’s ancient wisdom if the strange Hindu teacher has a university degree,” was the guru’s counsel. Three years after founding the Yogada Satsanga Society of India (YSS) in Ranchi in 1917, the young Yogananda sailed to Boston to take part in the International Congress of Religions. His mission was to unite the East and West by spiritual understanding, to show the underlying unity of all religions. He traveled extensively in the US and captivated millions with his talks on yoga and meditation — thus laying the foundations of yoga in the West that has today catapulted into the International Yoga Day. Yogananda was not ritualistic. He spoke secular language and never imposed his ideas on others. In the US, he underlined the spiritual and cultural heritage of India and held classes on balanced living — using yoga as a medium. Finally, however, it was the “Autobiography of a Yogi” that put Yogananda on a spiritual pedestal where he remains even today. The Indian government issued a postage stamp in his honour way back in March 1977. Unfortunately, unlike Swami Vivekananda, Yogananda doesn’t figure in schoolbooks the way he deserves to. Prime Minister Modi must pay his homage to this great yoga guru on June 21.